Lidl has opened a 58,000m² distribution centre at iPort, Doncaster to initially service 53 stores across South Yorkshire, Lincolnshire and the Midlands. The site represents a £70 million investment in Lidl’s expansion and logistics. The distribution centre expects to process 3,900 pallets of products every day and create 400 jobs. Warehouse and store employees will benefit from an increased pay of £9.00 per hour from £8.75 as of March 1st, 2019. Company pension scheme, employee discount and an enhanced holiday entitlement are included. 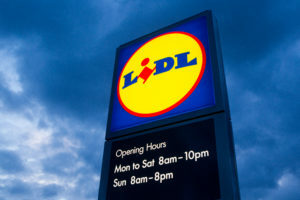 Lidl plans to open a further four distribution centres by 2025. It also plans to open two more stores in Rotherham, Chesterfield, Nottingham and Mapplewell by the end of 2019.